Liverpool will guarentee first place with a win. A draw would be good enough to secure the 2nd place at least. Spartak Moscow are also in need of three points, with a victory taking them through and any other result condemning them to the Europa League. Wanna back a team at unbeatable odds? 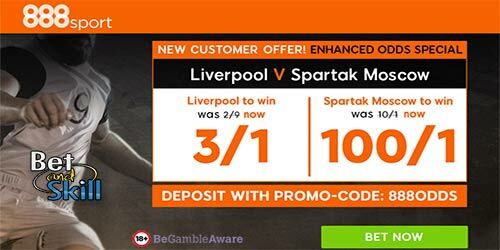 Find here how to claim 3/1 Man UTD or 100/1 Spartak Moscow to win at 888sport! New customers only. £10 minimum deposit required. 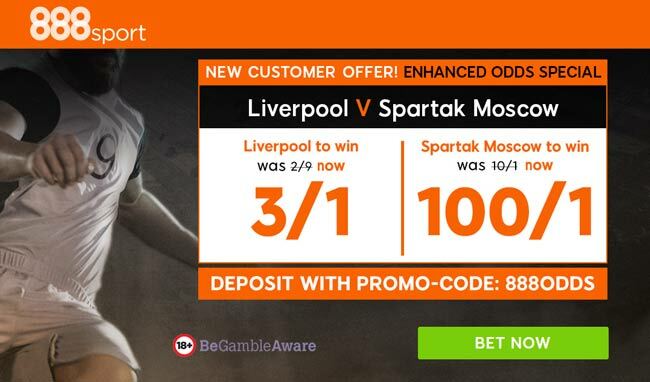 "Get 3/1 Liverpool or 100/1 Spartak Moscow to win at 888sport (Champions League enhanced odds)"